Maricopa voters casting mail-in ballots are beginning to worry about the legitimacy of the voting process. Maricopan Joyce Larson, 73, was attempting to request her mail-in ballot this year when she was told by the Pinal County Recorder that she was no longer registered in the state. After some digging, it was determined that she had somehow been re-registered in her home state of South Dakota. The Pinal County Recorder’s Office could not offer Larson an explanation, only saying that they did not have the power to register people in other states. Larson was able to get re-registered in Pinal County and send an early ballot, but her story does not end there. Around same time she received her mail-in ballot, she also received a mail-in ballot for her husband Keith Larson. Keith has been deceased since 2014. Pinal County Recorder Virginia Ross said the system of reconciling the deceased with voter registration rolls is sometimes slow and the recorder’s office, by law, cannot remove someone from the rolls unless they have missed at least two federal elections. Ross went on to say the recorder’s office is “trained in signature verification by forensic experts,” and their computers are trustworthy. Joyce Larson understood there may be some clerical shortcomings that may have caused her to receive her deceased husband’s ballot, but nonetheless was still at a loss as to how she was registered in another state. Now, she admits her faith in the democratic system is shaken but it wasn’t that strong prior to the mishap. Another Maricopa resident, Jessica Flores, informed InMaricopa she was having trouble confirming through the state website that her ballot had been counted. She then called the Pinal County Recorder’s Office to dig deeper. According to Flores, they again were unable to confirm her ballot had been counted. Ross said she is so far not aware of any misplaced absentee ballots and all of the inquires she has dealt with concerning lost ballots were settled and confirmed counted. Ross admitted they do indeed recommend to provisional voters who believe their ballots were overlooked to also vote in person if possible, but it must be done at their registered polling place. “If they are concerned that their ballot has not arrived they can cast a provisional ballot,” Ross said. 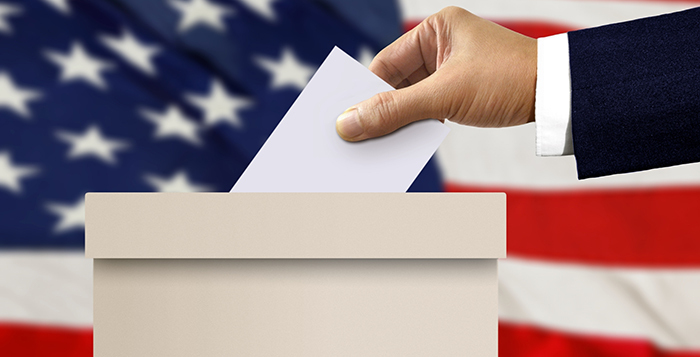 As of Monday, Nov. 7, Pinal County has tallied more than 58,000 early voting ballots.